Verbenas are long blooming annual or perennial flowers that possess the virtues of heat tolerance and an extremely long bloom season. 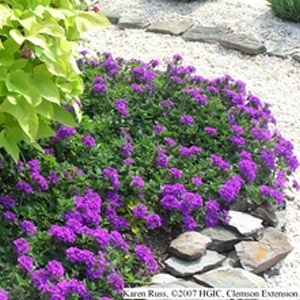 Many perennial verbenas are relatively short lived, but their vigor and heavy flowering make up for this defect. They do well grown as annual flowering plants also, since they bloom quickly during the first season after planting.